Page 4 of Panama photos. Last updated: 8/1/2010. 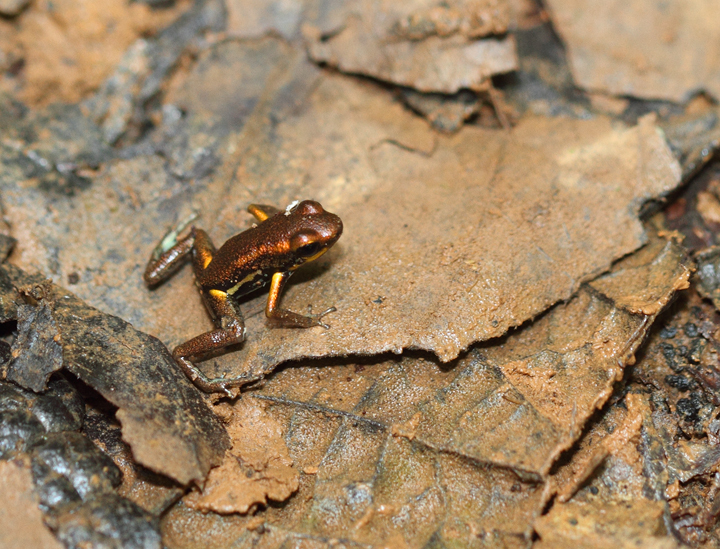 Above: A Blue-bellied Dart Frog in the Nusagandi area of Panama (July 2010). 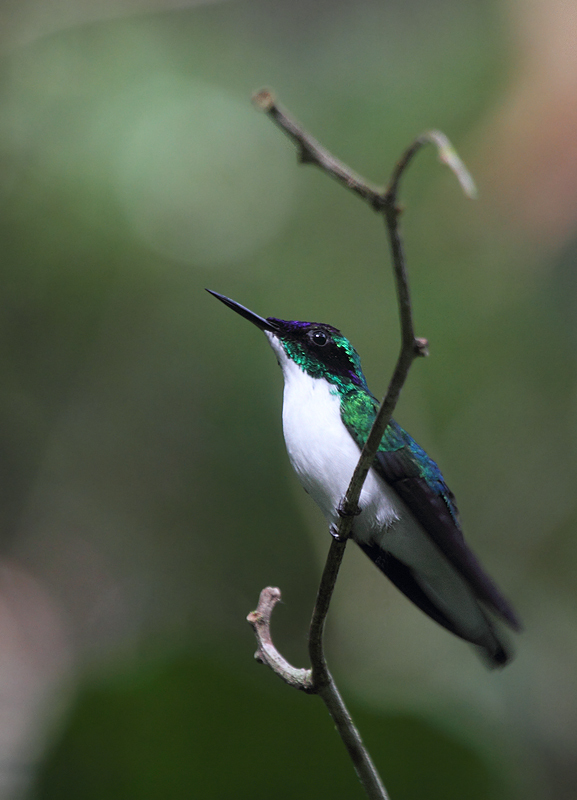 Below: A male Purple-crowned Fairy, one of the most beautiful hummingbirds, poses for photos (Nusagandi, July 2010). 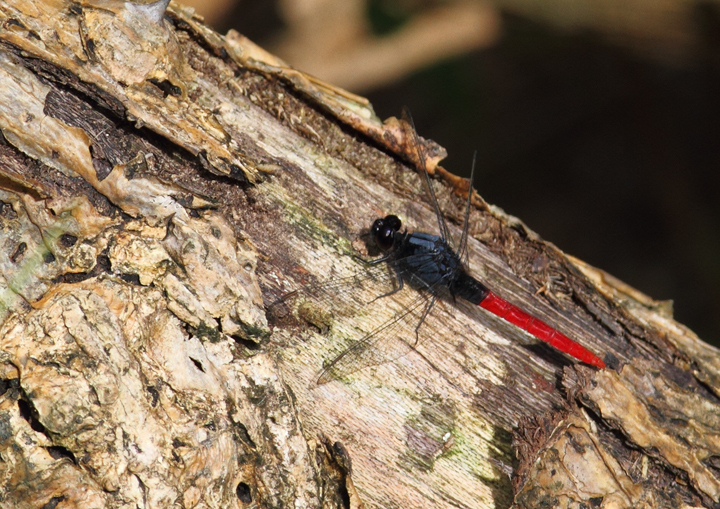 Below: A Flame-tailed Pondhawk (Erythemis peruviana) near Gamboa, Panama (July 2010). 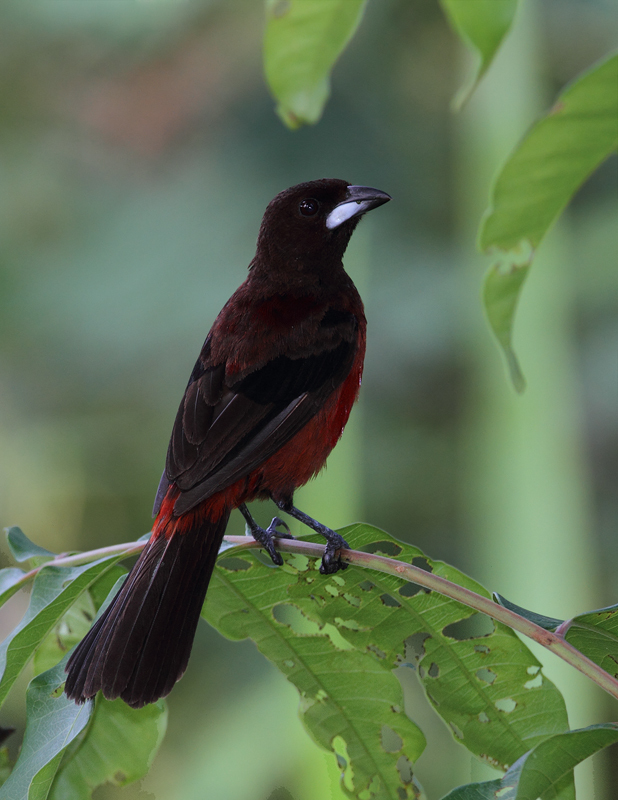 Below: A male Crimson-backed Tanager near Gamboa, Panama (July 2010). 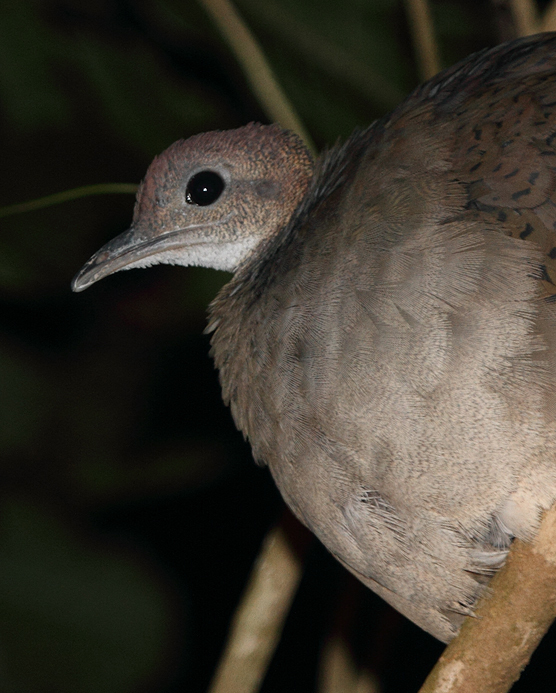 Below: A Great Tinamou roosting in a tree at night. 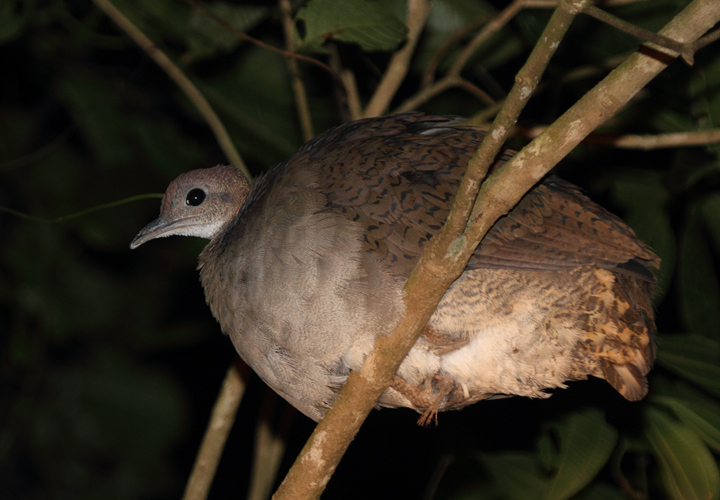 Although its beautiful song is heard regularly in this area, this was a very unexpected opportunity to study this reclusive ground-dwelling bird (Panama, July 2010). 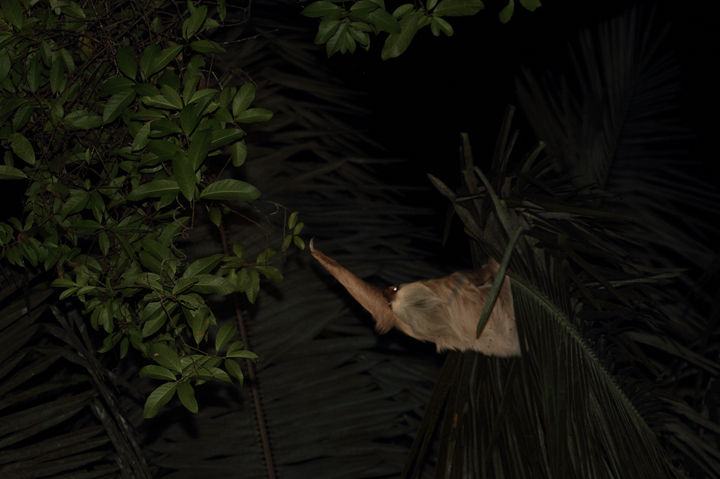 Below: A Hoffman's Two-toed Sloth makes a glacial transfer between trees in the canopy at night. It slowly, precariously reached out, finally got a good grip, and pulled the new tree close for the transfer. 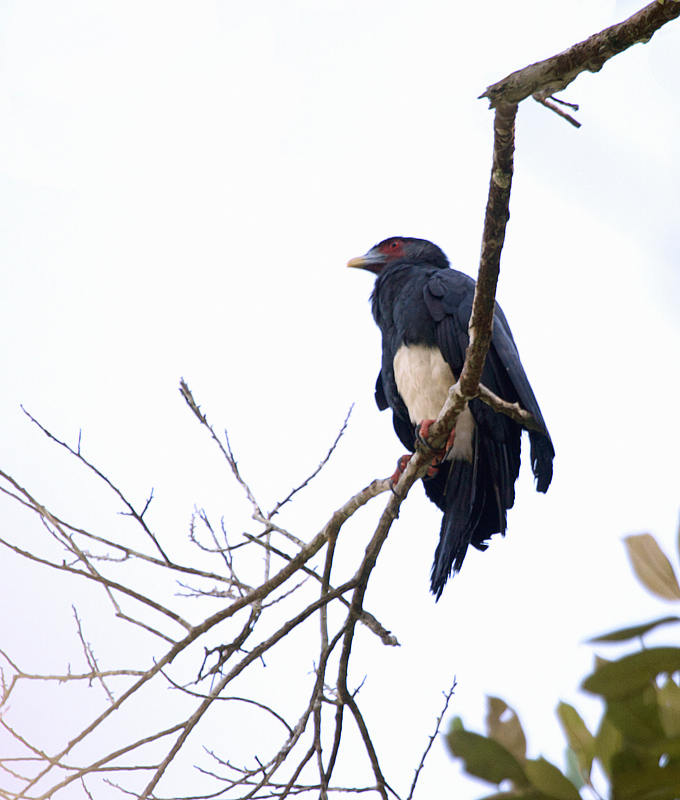 (Panama, July 2010). 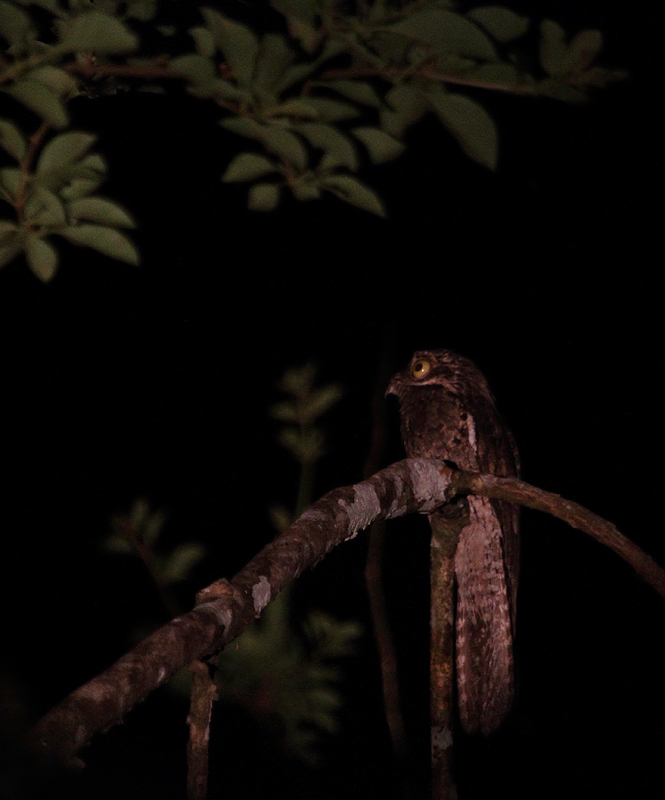 Below: A Common Potoo, the rainforest's most muppet-like of denizens, sings its haunting song (Panama, July 2010). 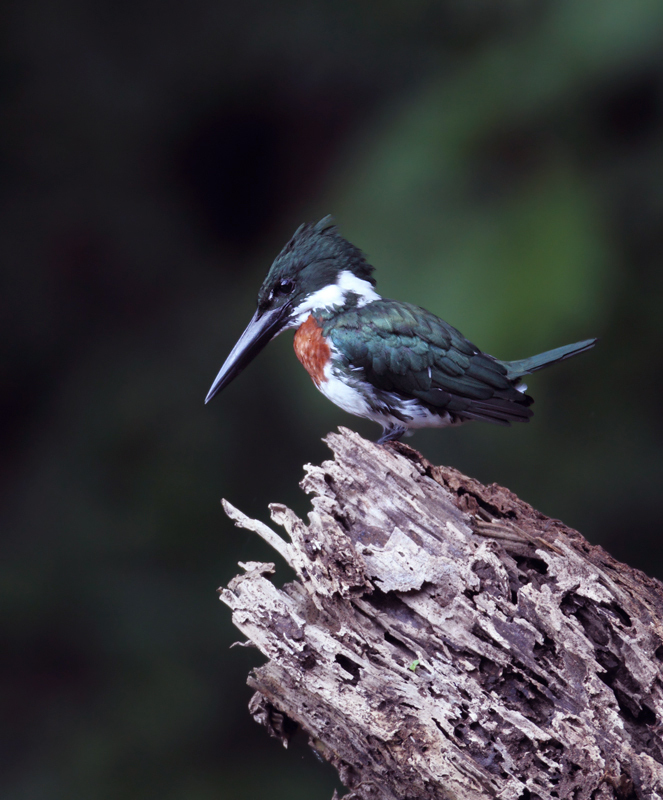 Below: An Amazon Kingfisher near Gamboa, Panama (July 2010). 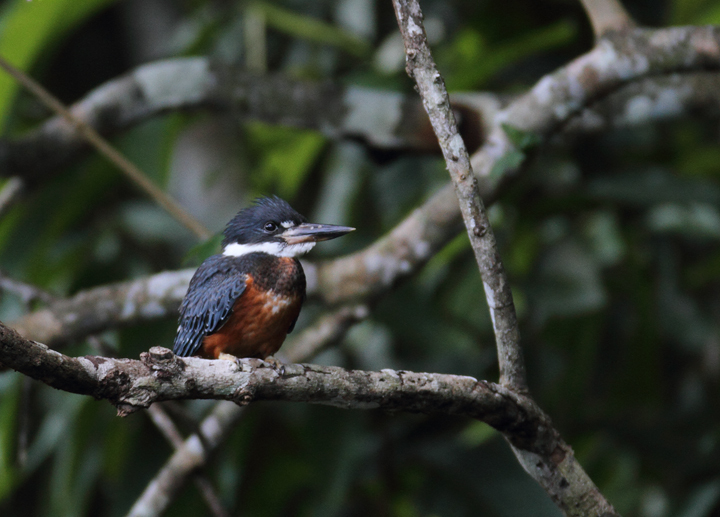 Below: A Ringed Kingfisher poses nearby at the Ammo Ponds, Gamboa, Panama (July 2010). 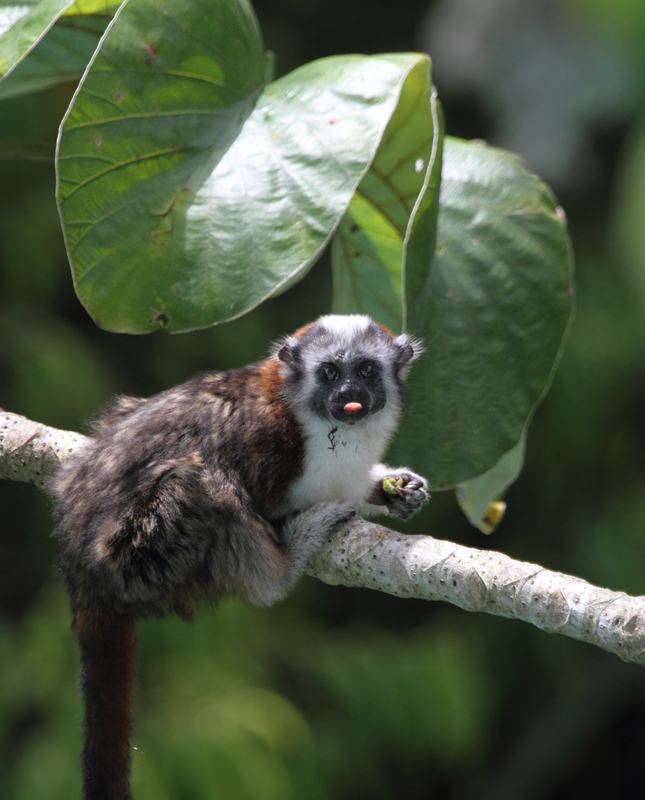 Below: A young Geoffroy's Tamarin lets me know how it feels about me (Panama, July 2010). 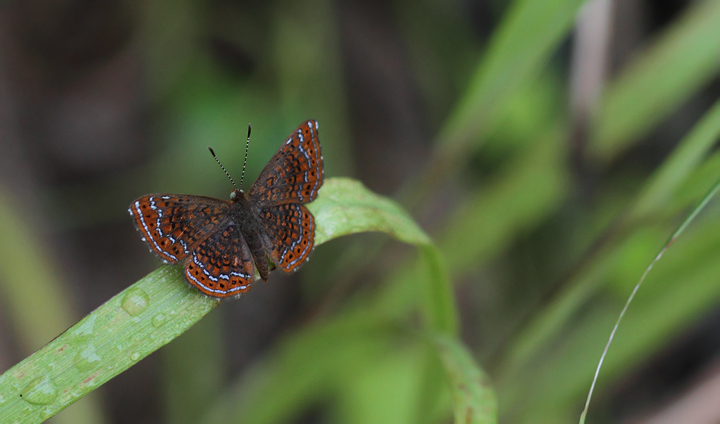 Below: A Schaus's Metalmark (Calephelis schausi) near Gamboa, Panama (July 2010). 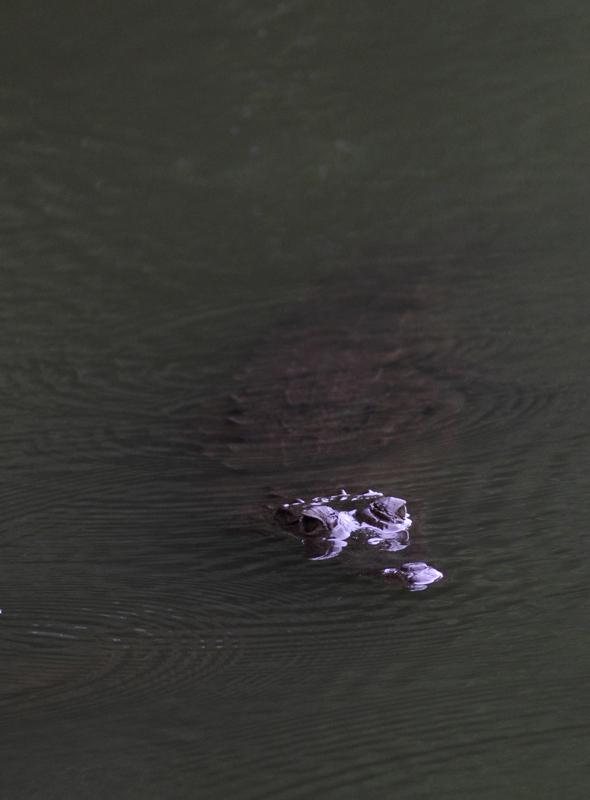 Below: A Spectacled Caiman appears briefly in a pond near Gamboa, Panama (July 2010). 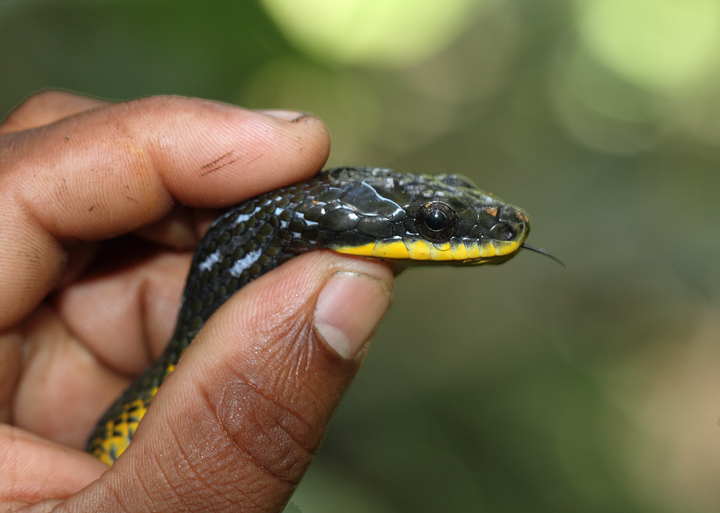 Below: One of the most unusual and sought-after species in Panama, the Sapayoa (July 2010). 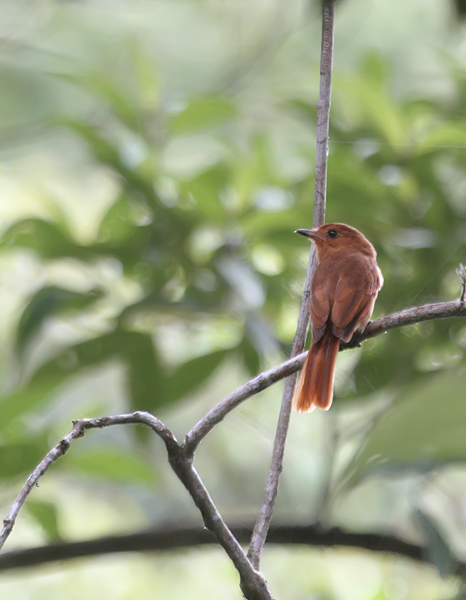 Below: A Rufous Mourner near Burbayar Lodge, Panama (July 2010). 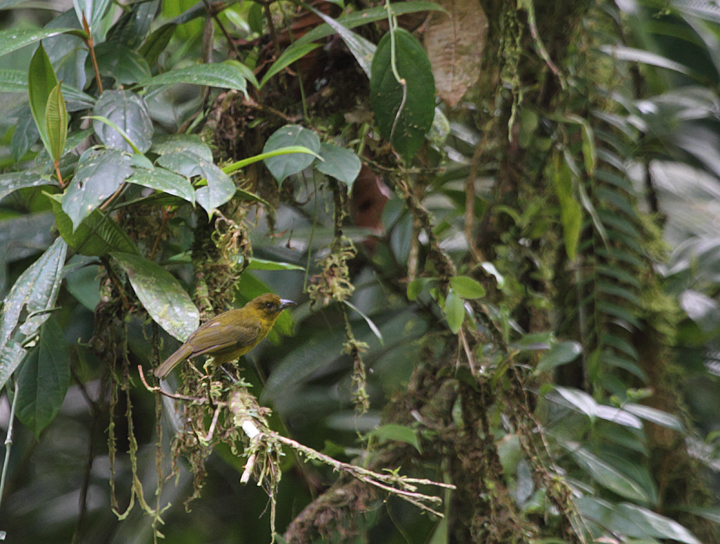 Below: A Carmiol's Tanager (Olive Tanager) in the Nusagandi area (Panama, July 2010). 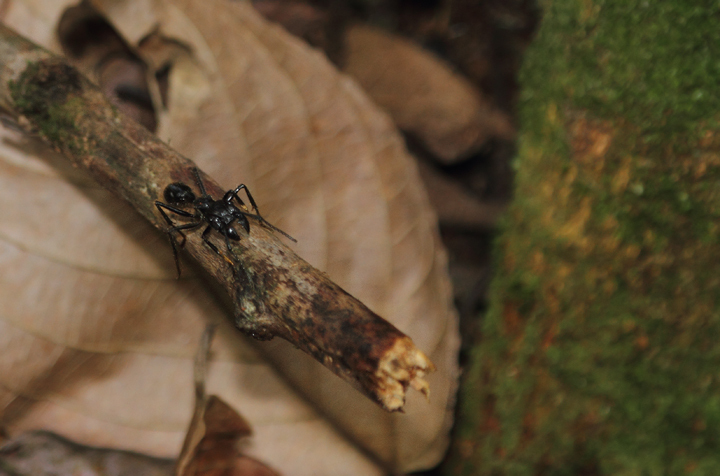 Below: Bullet Ants in the Nusagandi area of Panama (July 2010). 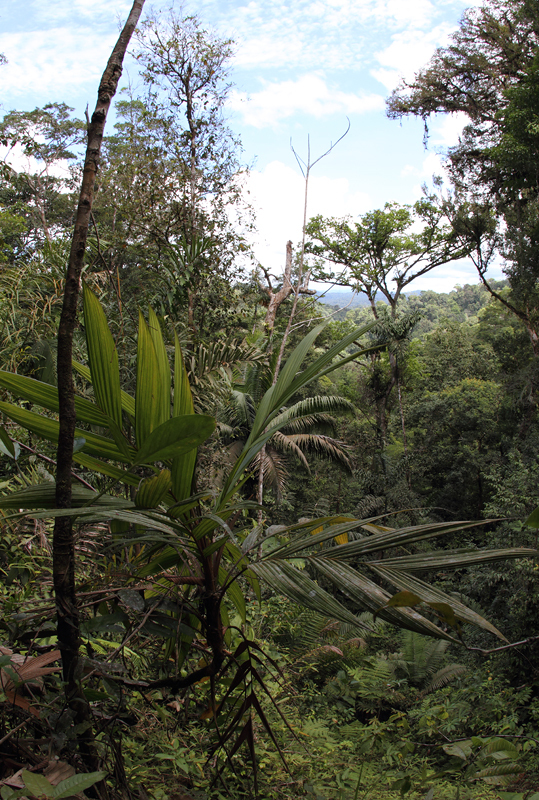 In this area, you had to be careful about handholds in the drier parts of the rainforest. 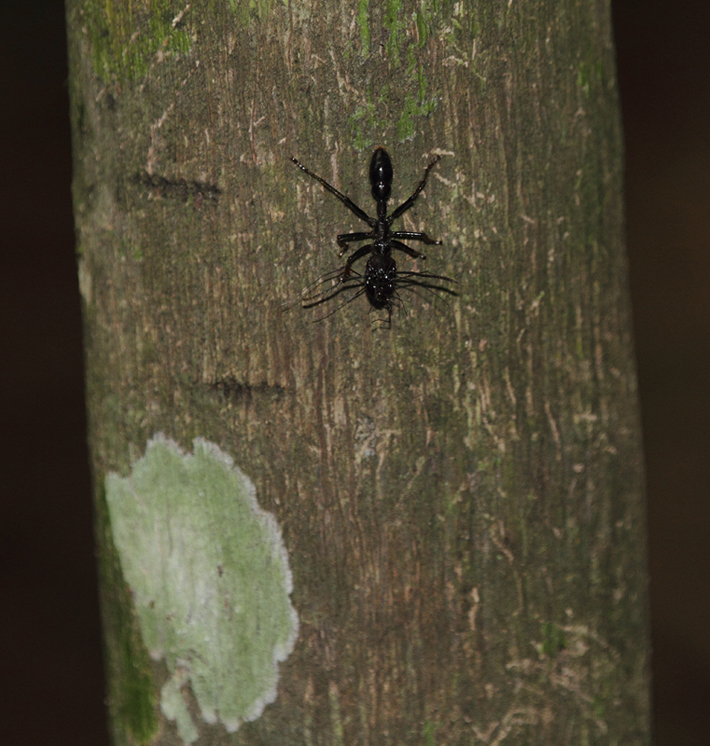 A bite from one of these huge ants is supposed to hurt as badly as being shot! 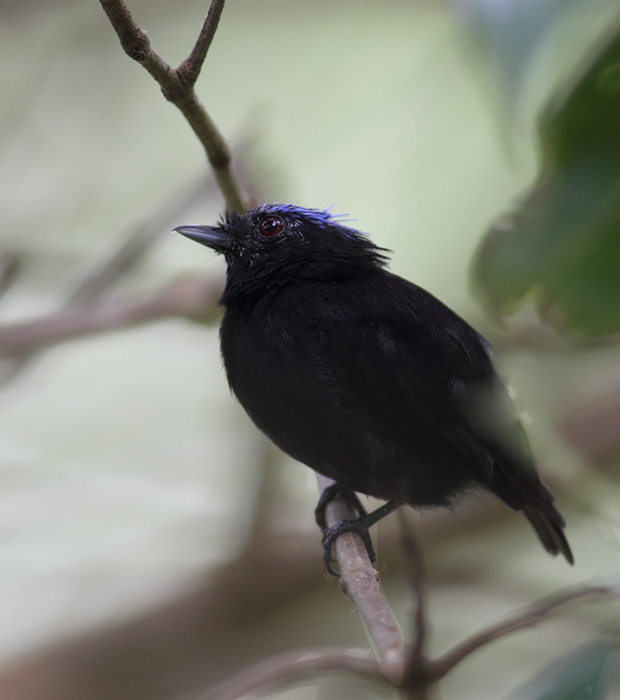 Below: A Blue-crowned Manakin in the Nusagandi area of Panama (July 2010). 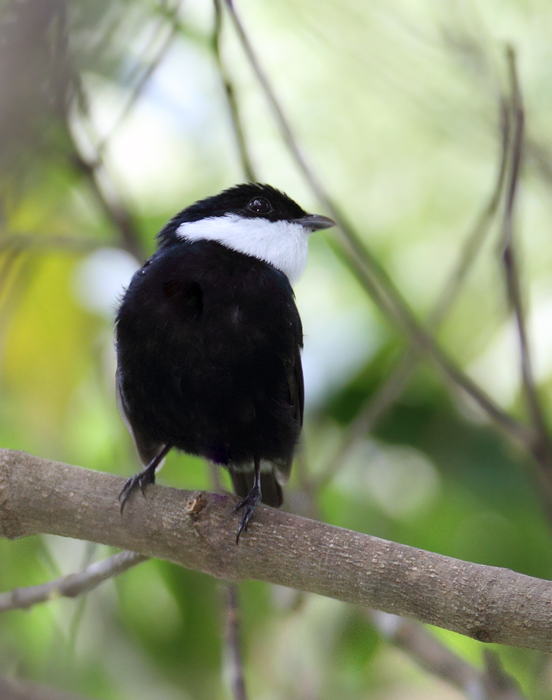 Below: This White-ruffed Manakin favored a couple flowering trees near my hut at Burbayar Lodge, Panama (July 2010). 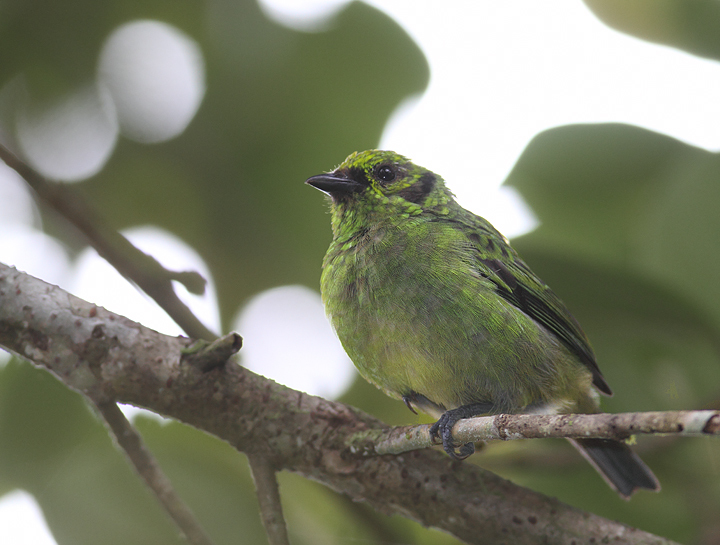 Below: Around Nusagandi, the beautiful Emerald Tanager was one of the most common bird species (Panama, July 2010). 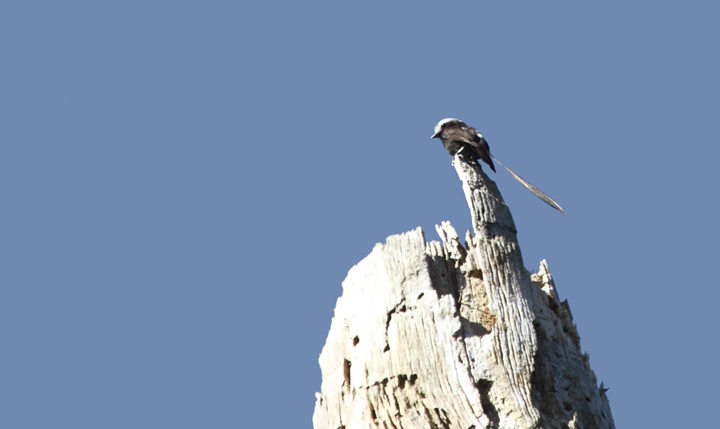 Below: A distant male Long-tailed Tyrant hunts from atop a dead snag in the Nusagandi area (Panama, July 2010). 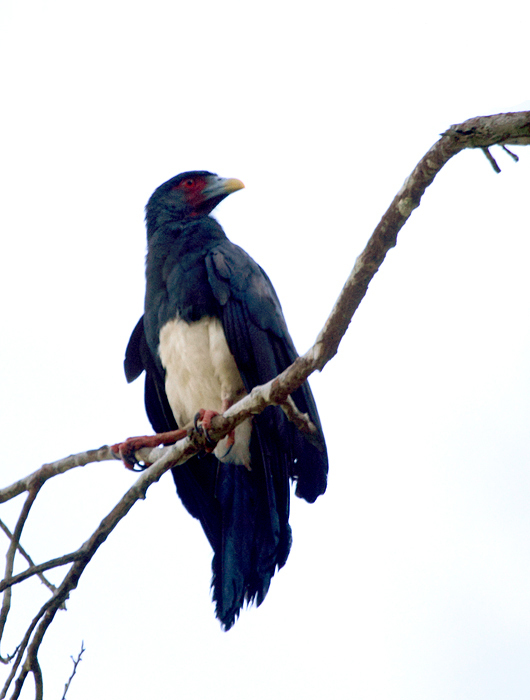 Below: Yet another favorite, a local bee and wasp specialist, the Red-throated Caracara (Panama, July 2010). Below: A Pin-tailed Pondhawk (Erythemis plebeja) near Gamboa, Panama (July 2010). 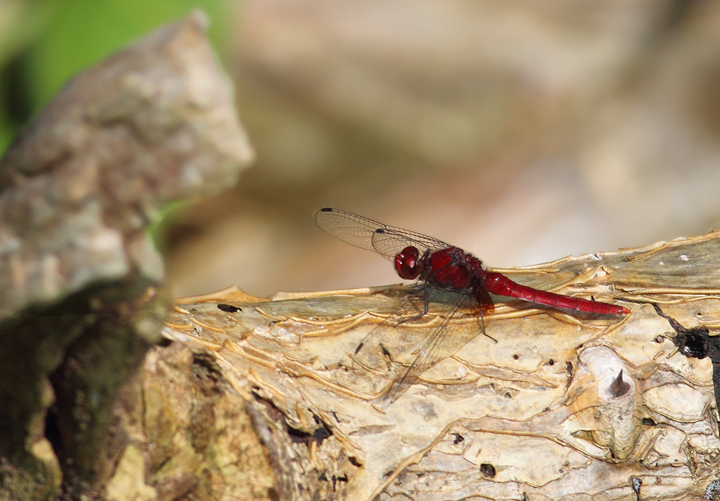 Below: An attractive dragonfly, presumed Rhodopygia hinei, near Gamboa, Panama (July 2010). 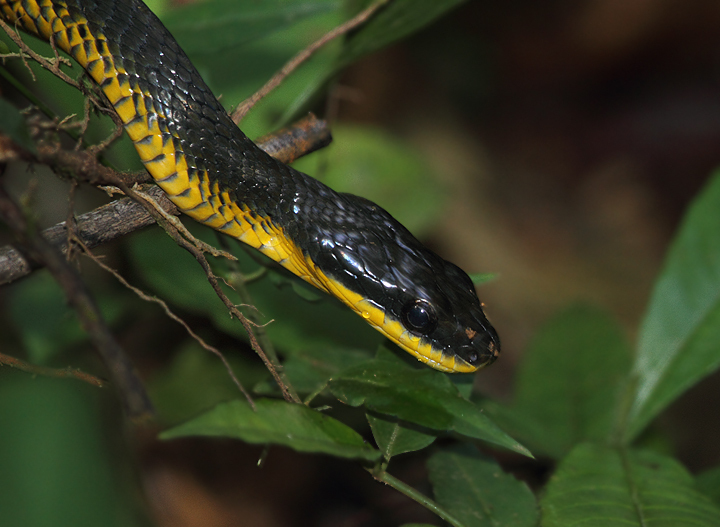 Below: A Neotropical Bird-eating Snake was another highlight in the Nusagandi area (Panama, July 2010). 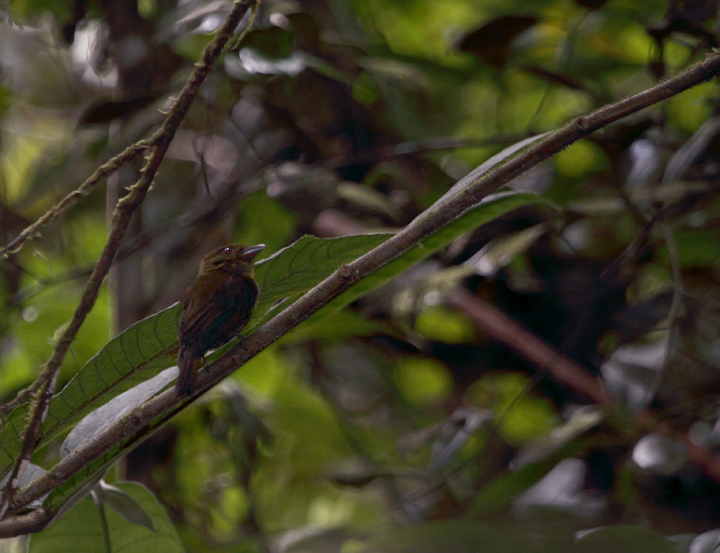 Below: A small opening in the rainforest at Nusagandi (click image for large full-size).